But protecting your identity isn’t the only benefit to looking at your credit report. You can learn a lot from reviewing your report regularly. Here are three major items you can glean during your review of your credit report. This is one of the most important things to look for on your credit report. Each bureau’s credit report will list out all of the credit accounts that are open in your name. You need to make sure that you recognize every single account listed. If you recognize all of the accounts you can move on. However, if you see an account (or multiple accounts) that you do not recognize and did not open your identity may have been stolen. If an identity thief has opened up a credit account (credit card, loan, and so on) in your name and using your Social Security Number then the creditor believes you made the charges. If you do not pay the amounts shown it will show on your credit report and severely damage your credit score. Any unknown accounts should be immediately investigated. If you learn you have had your identity stolen you have a lot of work ahead of you: filing a police report, disputing the charges and accounts, and potentially freezing your credit. Even if you recognize all of the credit accounts listed on your report you need to dig a little deeper. Look at each reported credit account to see if there are anyÂ erroneous late or missed payments showing. If you haven’t missed a payment or paid late, but one shows up on your report, your credit score will be negatively impacted. If you don’t find any late or missed payments, you can move on. However, if you do you need to dispute the late payment mark in writing with the creditor. They are required by law to research the error and if it truly is an error have it removed from your credit report at all three credit bureaus. 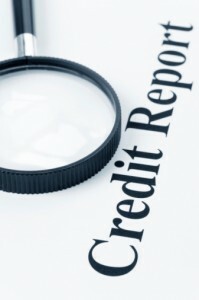 Another important area to review is to see which companies are looking at your credit report. There are two ways a company can look at your report: a soft pull and a hard pull. A soft pull is used to send you pre-approved marketing messages like the credit card offers you get in the mail. These pulls are not used to determine a specific loan request and thus do not damage your credit score. Expect to see many inquiries listed here from various banks and credit card companies. A hard pull is the opposite. Hard pulls do negatively pull down your credit score by a few points. These credit inquiries are done as part of a specific decision by a company as to whether or not to loan you money. If you apply for a car loan, the credit inquiry done on your report is a hard pull because the lender is trying to determine if they should let you borrow the money or not. The important thing to learn here is if you have hard inquiries from companies you do not recognize, in that case, someone might have your identity information. Those hard inquiries would be where the identity thief is trying to convince a lender to give them a line of credit in your name. Again, if you find evidence of this you need to act quickly to shut it down or risk damage to your credit scoreÂ (which can negatively affect your ability to get a mortgage, a car loan, and more). What are some other things you can learn from your credit report? Leave a comment and let us know! The last time I checked my credit report I couldn’t for the life of me figure out what one of the credit cards was. Come to find out it was my mom’s card and she’d put my name on one when I was in college in case I needed to buy something during an emergency etc. (and she’d pay for it). I had completely forgotten about it and so had she.